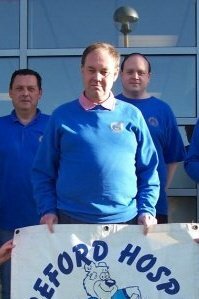 Andy Williams is one of our longest serving members, having joined the station in the 1980s. 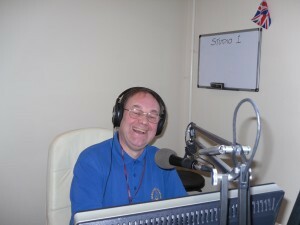 I joined Hereford Hospital Radio in 1984 after leaving the Royal Air Force after six years in service. The shows I have done in the past are the Langford House Request Show on a Saturday morning and a children’s show on a Sunday afternoon, while my current show is on a Thursday night from 7:00 pm until 9:00 pm which is a request show. Things I also like doing are going around the wards meeting people from all walks of life and also meeting people when we go out fundraising. 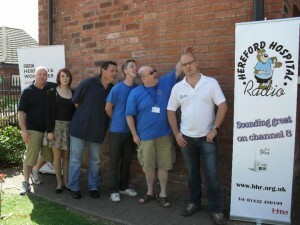 This is the best part of being a member of Hereford Hospital Radio. Other things I have done for Hereford Hospital Radio include being on the committee as the Station Manager and the Personnel Manager. My current interests outside of Hospital Radio include being on the manager committee of the Herefordshire Junior Football League. 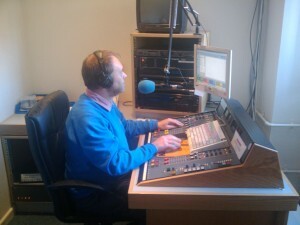 BBC Hereford & Worcester presenter, Andrew Easton, came back to his roots and broadcast a very special Easter Bank Holiday show from our studios. 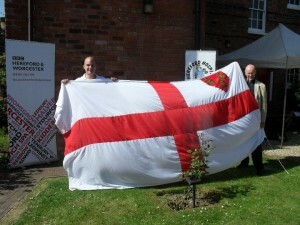 Andrew has probably traveled the furthest out of all the BBC Hereford and Worcester presenters team to be with you as he hails from down under – Christchurch, New Zealand in fact! 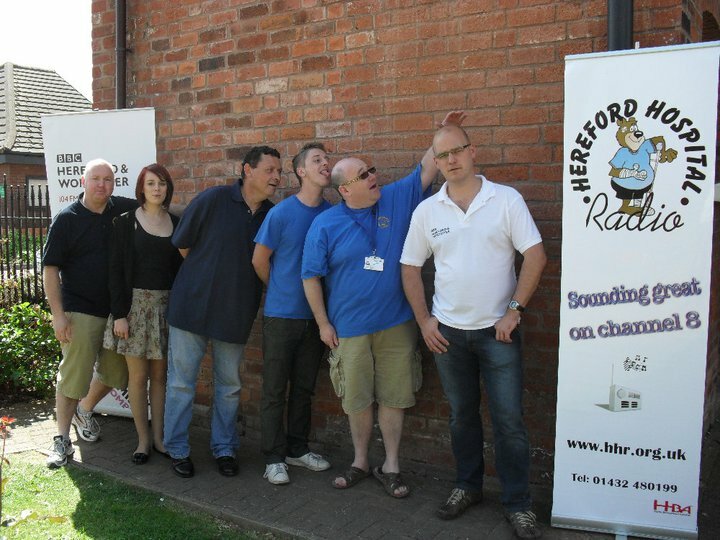 He arrived in the UK in 1993 and has always had a passionate interest in radio and joined the HHR team which helped him get a foot through the door at BBC Hereford & Worcester in the early 2000’s when Andrew started doing all the other things that no-one else wanted to do. 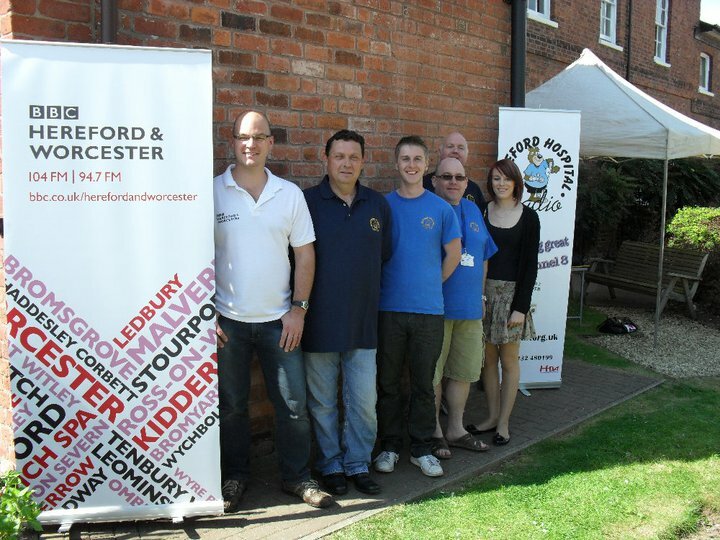 In April 2011 he came back to where his radio career started, and thanks to the support of the BBC Hereford & Worcester team, did his show live from our studios. 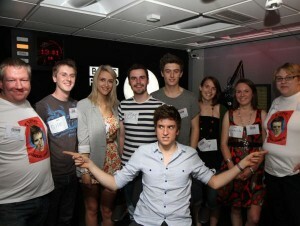 The Weekend starts here with Olle Grove – Except here is BBC Radio 1. 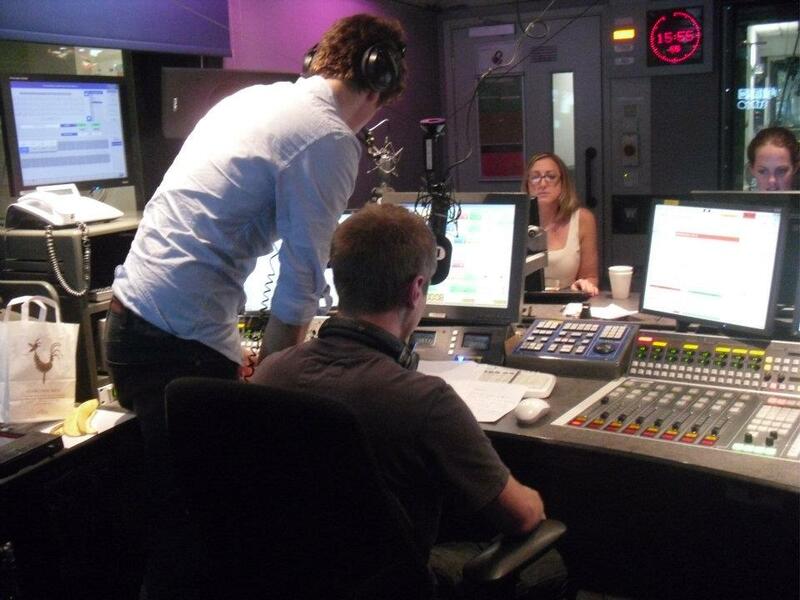 Former Friday night presenter Olle Grove represented Hereford Hospital Radio and broadcasted to the whole nation thanks to Greg James and Feet up Friday on BBC Radio 1. The local Hospital Radio serving the patients and staff at Hereford’s County Hospital have been successful in obtaining a grant for £10,000 from the Big Lottery fund. Hereford Hospital Radio is a local charity that has over 40 members, and provides bedside entertainment to patients at the city’s hospital and to those former patients listening at home, via the Internet or via the Hereford Hospital Radio’s recently developed iPhone app.The app for Apple iTunes allows former patients and relations to listen to the radio station wherever they are in the world. It was developed earlier this year. The grant is being used to extend the stations output, by allowing it to attend many local events and broadcast these events live back to patients. 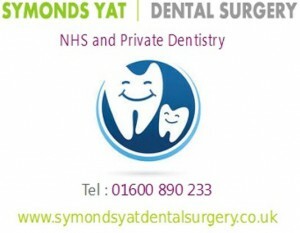 Wye Valley NHS Trust is also working with the station to strengthen its output and to find new ways of getting the radio heard across more of the county and into the local community. Chris Hughes, Chairman, said, “We are delighted that on our first ever application to the National Lottery we have been successful. 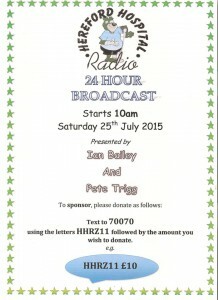 We are excited that over the coming months we can be broadcasting from events around the county, if anyone has an event they would like us to attend, please email info@hhr.org.uk.“If you would like to know more about HHR, Call 01432 233033. The May Bank Holiday in 2012 saw a first for the Hereford Hospital Radio team with a two-day broadcast from the Border Counties Vintage Club Show in Monmouth. painted outside broadcasting studio, nicknamed OB1, we set up for the weekend on Monmouth’s Vauxhall fields, the site of the old Monmouth Showground, as guests of BCVC to bring our listeners the sights and sounds of the show. From vintage tractors and trucks to army vehicles, there was plenty for us to talk about. Our team of volunteers set up a stall to help raise money with a guess the weight of the chocolate egg competition, which was donated to the Children’s Ward by the lucky winner. the event as well as owners of the vehicles and stall holders, all passionate about why they were there. Sunday breakfast show host, Richy Evans, even got up extra early to make the trip to Monmouth to present his show live from the event, and clearly enjoyed every minute of it. We must thank all of the team for getting muddy and helping out. Hereford Hospital Radio had a fantastic but wet day as guests at Northolme Community Centre in Belmont, Hereford as part of the Queen’s Jubilee. With plenty of summer music playing, everyone had a great time. 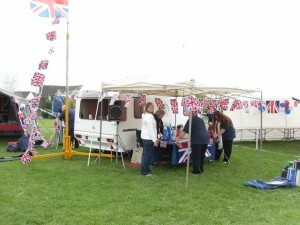 The event was opened by the Hereford Lions at 2pm. We had tea, cakes, games with the children and an egg and spoon race against our friends from Sunshine Radio. There was also a dog show and many stalls. All the children received a jubilee mug which they all loved. A great day out was had by all. 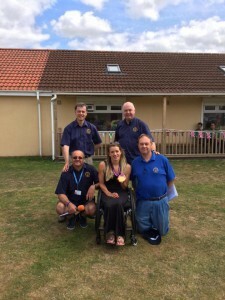 A big thank you to Northolme. Our Hereford Hospital Radio can now be heard by former patients and relatives wherever they are in the world! 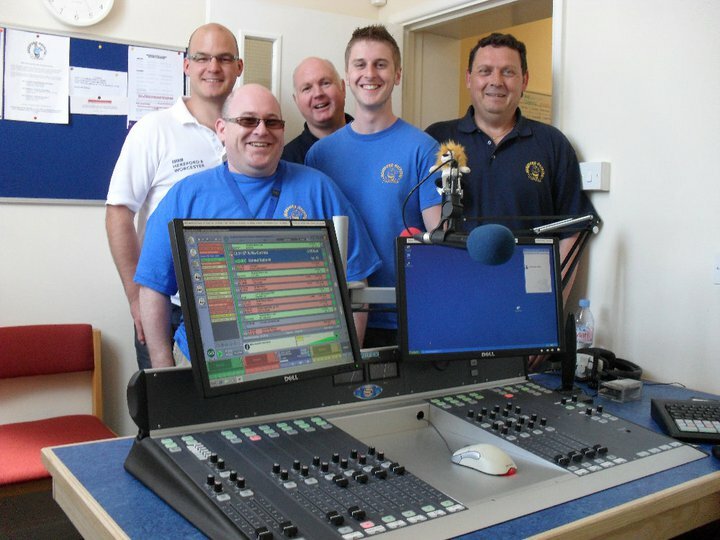 Thanks to a £10,000 grant from the Big Lottery Fund, Hereford Hospital Radio has developed an iPhoneapp downloadable from Apple iTunes so you can hear the radio over the internet. 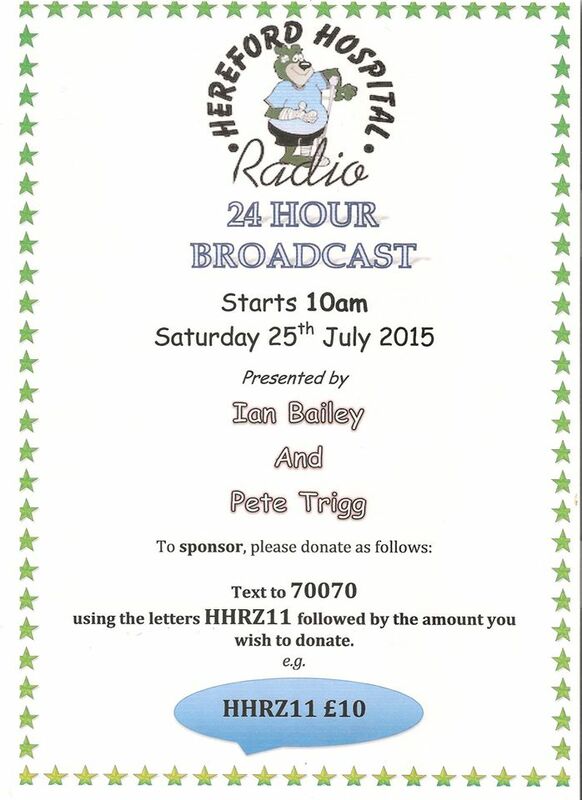 It is also extending the station’s listeners by attending and broadcasting many local events back to patients.